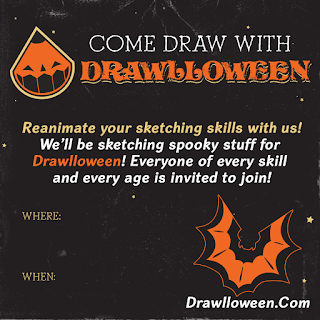 WANNA HOST A DRAWLLOWEEN EVENT? 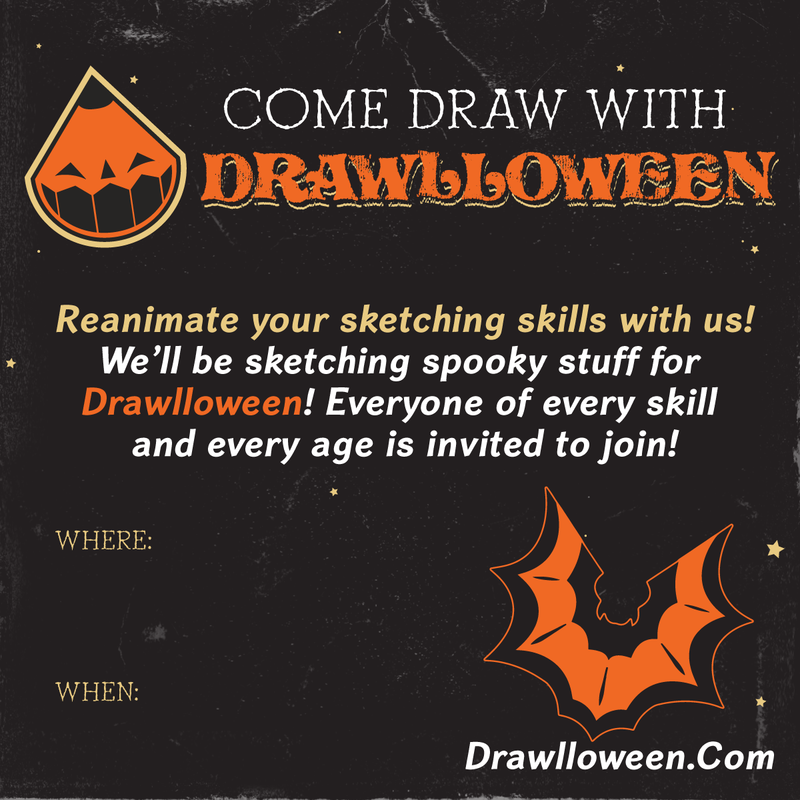 Drawlloween is for artists of all skills and ages to partake in. 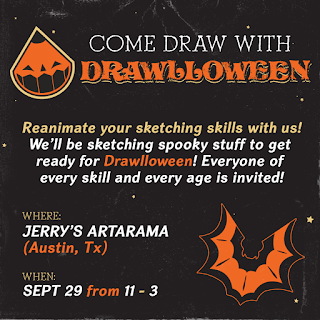 You are most welcome to host an event, all we ask is that you mention/tag us (we will try and share your event if and when we can!). 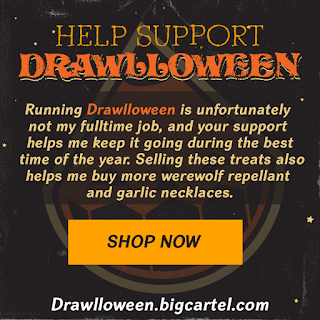 Your support and shares help me run everything, and allow it grow year after year. I'm placing some goodies here for your use, just please credit us when you can! 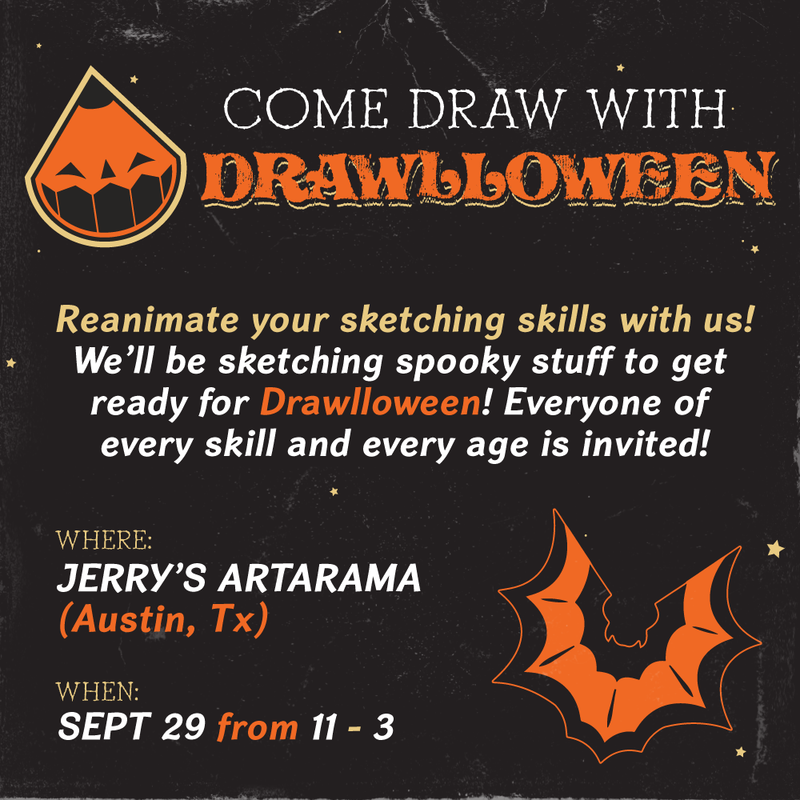 Also: Don't stretch the logo if you use the provided PNGs, if you please! 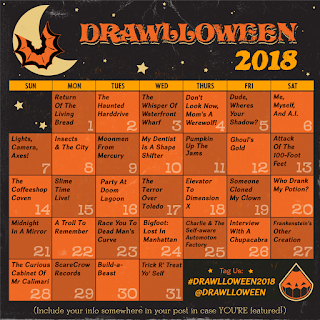 The Drawlloween Store Is Open!